Parents, Why Is It So Difficult to Give Grace to Ourselves? I have spent nearly half of my life so far parenting, and for those of you who know that our last child will likely live with us indefinitely, it looks like that’s my trajectory for now until the end of my life. I didn’t set out to do that. I’m not charitable enough to want to parent people forever and ever amen. But as with so many areas of life, the path changes and morphs and improves and surprises us at every turn. While I love and adore all of my kids, I find certain stages to be exhausting and irritating. Bet you can guess which stages. 2002, five kids in. Lots and lots of grace needed. Yet, here I am, 24 years later, still raising and loving on and being exasperated daily by both the big and little people in my home. The brain-injured one in particular doesn’t seem to remember not to write on the furniture or pull the ears off his stuffed animals. He’s cracked my iPhone twice. I’ve had to learn to give grace, both to our children and to myself because, well, I exasperate them, too. And for some weird reason, I tend to be able to come back around after my frustrated rants and apologize, asking for their forgiveness and pouring out the grace that the Holy Spirit offers to my puny Grinch-heart. Most of the time, that comes easily. But for many of us parents who are trying to give it our all, the grace-giving toward our children comes almost too readily. The harder part? Giving grace to ourselves. This is where the gospel enters back in to light up our spiritual cracks and crevices like a billion suns. Let’s remind ourselves again and again of who God is, what He has done for us, and who we are because of Him. When we wake up each morning and inwardly groan, “Here we go again,” the Holy Spirit will gently remind us that there is nothing we can do to make God love us less. When God looks at us, His redeemed, He sees the Redeemer — He sees Jesus in our place. That kind of love is magnetic and energizing. It motivates me to smile at my children, take deep breaths, pour myself a tumbler of hot tea, and tell them to get their behinds back into the kitchen to clean up the breakfast mess without feeling like I have somehow failed as a mother because they aren’t doing those things automatically. Do you know what’s going to get us all through the next week of parenting? The next month or year? Grace. The power of the Holy Spirit. The tenacious and unrelenting love of God for you, for your children, for your home. God’s grace and love motivate us to grow and change, and we can trust Him to sanctify us as we rest in the knowledge that He did it all on our behalf at Calvary. So even on the days when I wish I could just lock my office door and immerse myself in my “other” career as a writer, I know deep within that God is going to bless this crazy thing called parenting, not because I am so very good at it but simply because it’s where He wants my energy to flow right now. He’s not impressed because I begrudgingly obey Him. He cares too deeply about my frailties and knows I need to be reminded that He is out for my good, that He wants to restore my sinful self back to Him, and that the redemption of the hearts of my children are His business. I love God for His grace that allows me to settle into a homeschool with messy children and rest in the knowledge that He will, indeed, finish what He started here. A God Who loves and supports and sustains and fortifies? That’s the God of grace, and grace is the word that describes gifts that are unearned. Like little Lego creations and pansies without stems and slobbery kisses — unearned, unmerited, undeserved. I love God for His grace that allows me to settle into a homeschool with messy people and rest in the knowledge that He will, indeed, finish what He started here. 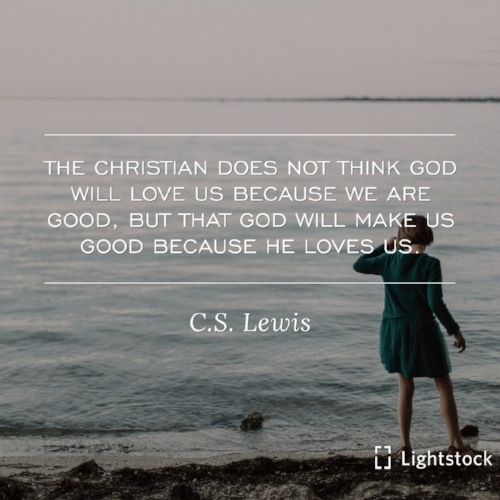 He pours His grace out all over our home, year after year after year, whether or not I’m doing the best things for my kids academically or otherwise. He fills in the gaps, molds our lives, and directs our paths. He pours it out, all over, without reserve. And then a curious thing happens: I am so filled up with grace and love that it just comes spilling out over my life and into the lives of those who dwell with me in this little old house. It washes over us all like a wave on the shore, lapping and bubbling over our toes, swooshing up to our kneecaps and finally overwhelming us and taking us under with its saturating power. With a love like that, I know I can finish what was started here 24 years ago. I can relax and rest in His poured-out love and then turn and pour it out by the oceanful!